How Far is ABI Mangolia? ABI Mangolia is a residential project developed by ABI Estates. The project offers very well designed 2BHK and 3BHK residential apartments. The project is well connected by various modes of transportation. The site is in close proximity to various civic utilities. I.Cooking platform with granite top and stainless steel sink. II.Ceramic / matt finish tiles for flooring and walls up to height of 7 ft.
ABI estates Pvt Ltd started its journey in the year the year 2000, Abi groups started with the sole mission of enhancing your wealth by giving you the right land investment options at the right place With professionalism and best customer services and a high standard of ethics, Abi has a unique place in the real estate sector and is at the forefront of developing projects of multiple sizes, infused with international standards for a newer style of living. The company was found by Mr. S. Elango, chairman, and Group Managing Director. Mr. Elango has more than 26 years of experience in Chennai real estate market. Abi Estates is one of the prominent real estate developers in Chennai, specializing in the sale of government-approved residential plots since from decades Abi estates are involved in providing best homes in Chennai an affordable price. They have a group of professionals who make sure the project is delivered with the high quality, in the stipulated time and budget. 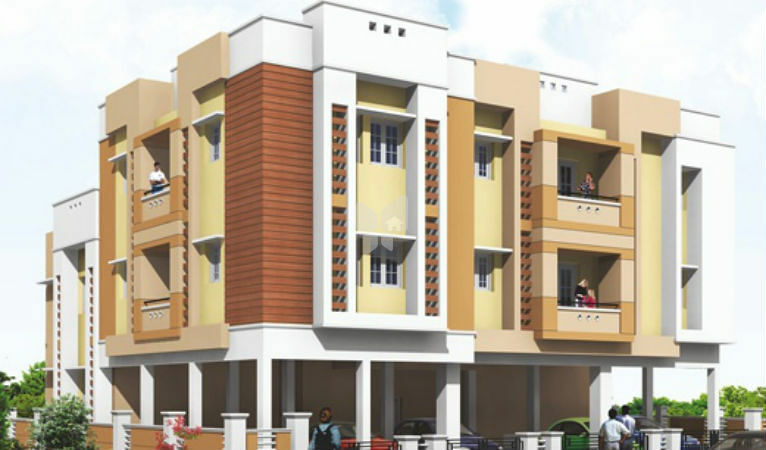 ABI Nakshatra is an example of ABI estates excellent work. Some of the projects of ABI estates are Sri Komadheeswarar Nagar in Singaperumal Koil, ABI Shiridi Sai Avenue in Gerugambakkam, ABI Kannaguru Nagar in Melmaruvathur, ABI Kanimozhi Aravindan Nagar, ABI SP Avenue Phase I in Singaperumal Koil, GST, and the list goes on. Because of the ethical approach, personalized customer service and transparency have earned the goodwill and unshakeable trust of all customers. Because of the amazing work, ABI Estates has got good recognition and awards. ABI has successfully Completed 125 Government approved Projects (DTCP/CMDA) that has won us international acclaim. Customer delight is our first and foremost priority! To delight our customers by enhancing their wealth and help them build assets by providing them DTCP/CMDA plots in a most professional and ethical manner. Hence by 2020, any plot buyer should think Abi as their first and preferred choice for land investment. Our mission is to build world-class real estate concepts with highest standards of professionalism, ethics, quality and customer-centric services. It is only because of these factors, today we stand apart in the real estate sector and are firmly rooted in the hearts of our esteemed customers as the most trustworthy establishment in land investment. The honor goes to our customers who have placed faith in us and we are driven and committed to stay true to their trust and belief in us.